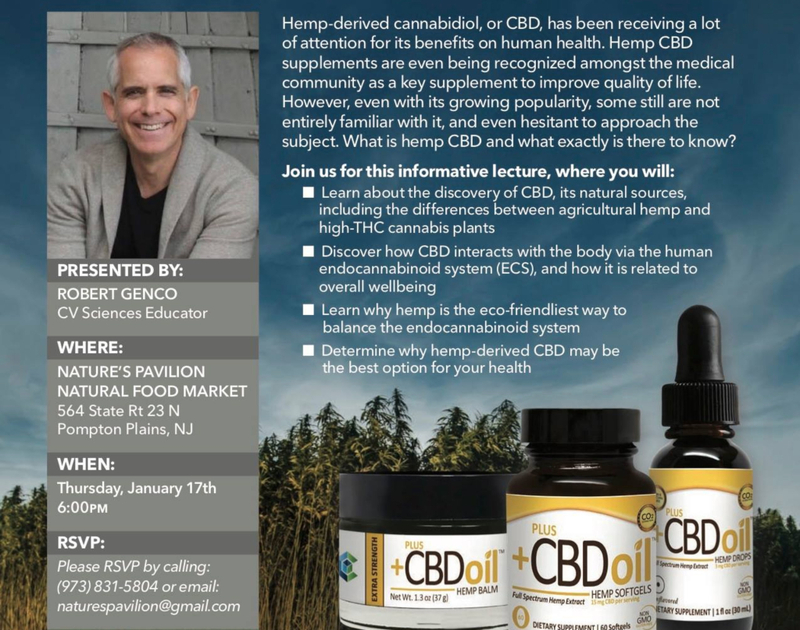 Learn about the discovery of CBD and its natural sources, including the difference between agricultural hemp and high-THC cannibas plants. Discover how CBD interacts with the body via the human endocannabanoid system, and how it is related to well-being. See why hemp is the eco-friendliest way to balance the endocannabanoid system, and determine why hemp-derived CBD may be the best option for your health. During the event, there will be a prize raffle and all PlusCBD brand products will be discounted by 25%!